Suzhou Ballet Theatre will bring the greatest love story Romeo and Juliet to the Netherlands with a Chinese understanding and Characteristics this November. The troupe will tour in Enschede, Apeldoorn, Breda, Amsterdam and the Hague. First love, age-old hate, with its primal passions and timeless themes, Romeo and Juliet has inspired ballet's greatest choreographers. Shakespeare's classic play has been given a stylish, modern and, above all, Chinese look this time. Most of the innovation was inspired by traditional Chinese culture. Elements include paper fans, silk umbrellas and Peking Opera masks are used. Romeo and Juliet is one of the troupe's finest examples of where East meets West. 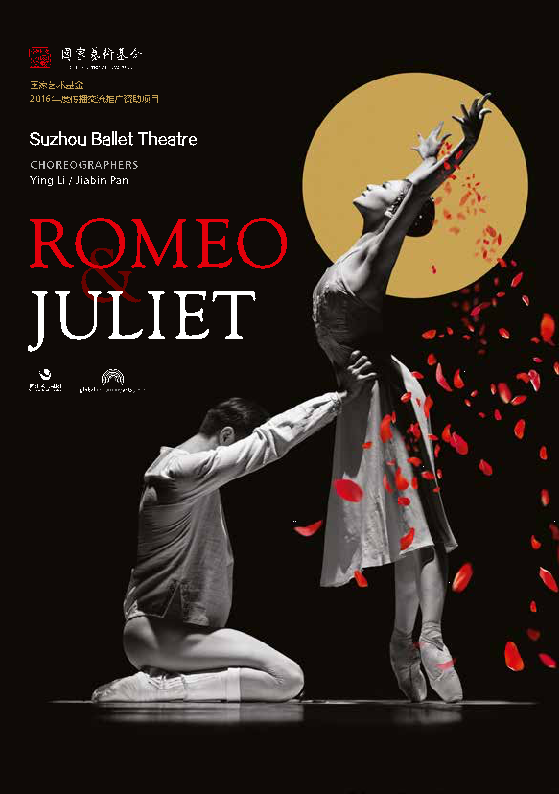 Let's fall in love with Suzhou Ballet Theatre's Romeo and Juliet this winter. For more information on the tour, please check the dates and locations at the end of this web. Besides,Suzhou Ballet Theatre will give a workshop in the China Culture Center in the Hague (Spui 186, 2511BW) on Nov. 21th from 18:00 to 19:30. The Attendees can learn about the creation of this performance, Chinese elements embodied in the play, Chinese ballet history etc..You may also have the opportunity to get free tickets or discount tickets for the performance. The admission is free of charge. Welcome join us!